Kyiv, 08 April 2014 – “Today we are facing a common enemy – Russia. That’s why all of us, including the police, army and people, should unite to prevent Russia from even thinking to tear Ukraine apart”, said Mykhaylo Havrylyuk, a EuroMaidan activist, Cossack of the Fourth Sotnia, part of the Maidan Self-Defense. Mr. Havrylyuk called for reconciliation and unity inside the country to counter the common external threat. He believes that it is not the time to punish the guilty, who are now atoning for their sins by protecting the country. “It is important that we take action and don’t let anyone take our Ukrainian land. The army are trained people who know their trade and protect our country today. Dividing people is like cutting off your own finger. We shouldn’t be looking for the guilty. Send a soldier to the front line and he will prove his loyalty with blood, – said the activist, adding that he himself forgave the riot police officers who tortured him during the Maidan events. – Firstly, I’m a Cossack. Secondly, they also have families and children to provide for”. According to Mykhaylo Havrylyuk, Maidan will not leave until the presidential election: “Today we stand at Maidan and near the Verkhovna Rada to control the government and to make sure the right laws are adopted to bring benefit and glory to Ukraine and welfare to all our families. We will stand until a President is elected who will care about our families and our future. When it all ends happily – and I am sure it will – we’ll go home”. 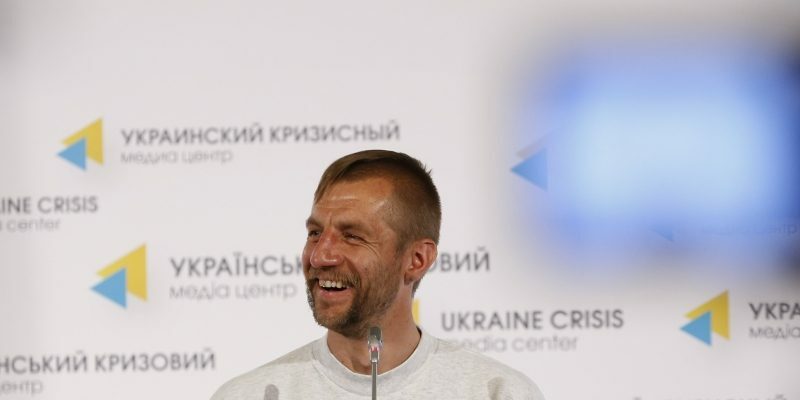 Mykhaylo Havrylyuk is a Euromaidan activist, Cossack of the Fourth Sotnia. He comes from the Yarivka Village, Chernivtsi Region. He came to Maidan on 31 November 2013 after he learned about the beating of students on the night of 30 November 2013. He became widely known after a video was published showing him being stripped naked in freezing cold and tortured by the Berkut riot police.